Whether you had a negative experience at the dentist’s office as a child or don’t like the sound of the dental drill or other tools, we understand. We specialise in caring for our nervous patients and offer a variety of sedation options to help you relax during various dental procedures. If you’ve been putting off dental treatments due to fear or anxiety, we can help! Whether you had a negative experience at the dentist’s office as a child or don’t like the sound of the dental drill or other tools, we understand. If you’ve been putting off dental treatments due to fear or anxiety, we can help! One of the methods we use in the practice is inhalation sedation. The sedation is dispensed through a mask from which you breathe normally. The effects are fast. You will not experience any pain, or feelings of a hangover once the procedure is completed. For more complicated procedures, sedation dentistry can be administered on-site. With this form of sedation, we will provide you with a pill to be taken at bedtime the night before your dental procedure. You also will be given one to take an hour before your appointment time. The sensation you will experience is a pleasant, drowsy feeling so any previous anxiety will be dramatically diminished. Please note you will need to have an appointment with us first so that we can discuss the sedation method for your next appointment. Because this type of sedation is delivered by way of the bloodstream, its effects are rapid. You will be completely relaxed and have little or no recall of the procedure. This service is currently offered with James Wong for oral surgery. If you are considering this service, please contact our treatment coordinator for further information. With general anaesthesia, patients are entirely unconscious. The primary advantage of conscious sedation is that patients can reply to their dentist’s commands or questions. They can breathe normally during the procedure and will have little or no recollection of it when they wake up. 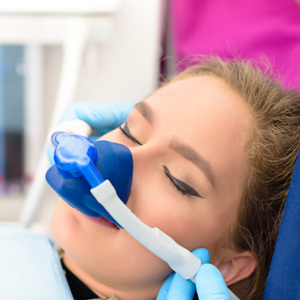 Used by dentists worldwide because of its reputation for safety, sedation dentistry is delivered by a highly skilled dentist at Dentist WA Canning Vale. Rest assured that your vital signs will be continually monitored for the duration of your treatment. Imagine being able to have multiple dental procedures completed in just one appointment. With sedation dentistry it’s possible. For more information, contact our treatment coordinator today!